Rhayun Song, Eun-Ok Lee, Paul Lam, Sang-Cheol Ba A published randomised study has shown the low-tech and low-cost ancient art of tai chi improves the condition significantly over 12 weeks. Objective: Twelve forms of Sun-style tai chi exercise have been developed specifically to reduce the pain and stiffness, and improve quality of life for people with arthritis. This randomized study examined the changes in pain, stiffness and physical functions (ability to do daily tasks) in older women with osteoarthritis (OA) at the completion of a 12-week tai chi exercise program. Methods: 72 patients with OA were randomly assigned into 2 groups. 22 experimental subjects and 21 controls completed pre- and post-test measures over a 12-week interval. Outcome measurements were physical symptoms and fitness, body mass index, cardiovascular functioning, and perceived difficulties in physical functioning. The independent t test was used to examine group differences. 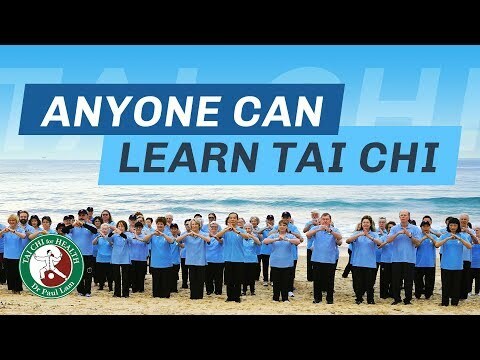 Results: Compared to the control group the tai chi group had 35% less pain, 29% less stiffness, 29% more ability to perform daily tasks (like climbing stairs), as well as improved abdominal muscles and better balance. No significant group differences were found in flexibility and upper-body or knee muscle strength in the post-test scores. Conclusion: Older women with OA were able to safely perform the 12 forms of Sun-style tai chi exercise for 12 weeks, and this was effective in improving their symptoms, balance, and physical functioning. Author affiliations: Rhayun Song, RN, PhD, Associate professor, Soonchunhyang University, South Korea Eun-Ok Lee, RN, DNS, Professor, Seoul National University, South Korea Paul Lam, MD, Family physician, Tai Chi teacher, and conjoint lecturer, University of NSW, Australia Sang-Cheol Bae, MD, PhD, MPH, Associate professor, The Hospital for Rheumatic Disease, Hanyang University Medical Center, Seoul, South Korea Grant supporter: Supported by the Korea Research Foundation (Grant no. 2000-042-F00100), Seoul, Korea.